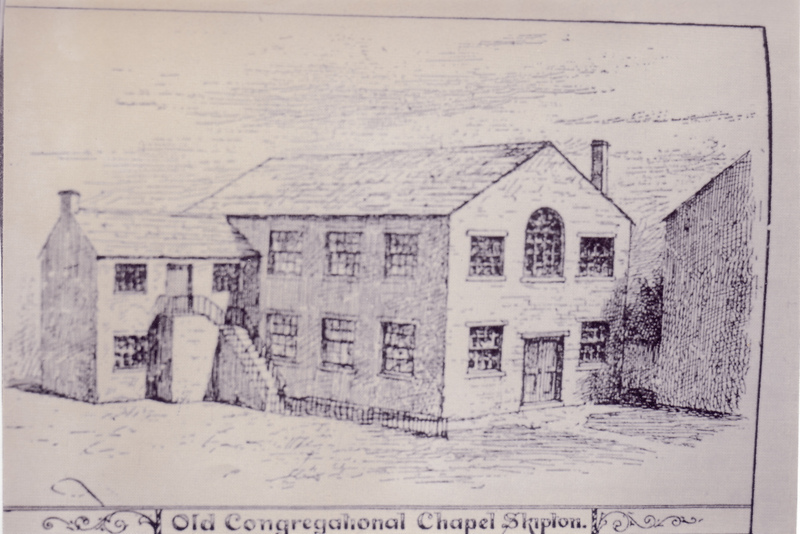 This is an illustration showing the Western and Southern faces of the old Congregational Chapel. It was demolished in the mid C19th and replaced by a larger chapel which in turn was replaced by the building that now is St Andrew's Methodist/United Reformed Church. See "A Heritage of Worship" by Ken Jackson, a copy of which is in the Library, or via St Andrew's Church.